When Pablo first told me that we were heading to the Isle of Lewis in the Outer Hebrides for a family trip to celebrate his mum’s birthday my first thought was: that’s FARRRR. Which wasn’t wrong, but the almost 800 miles from London was so worth the trek. 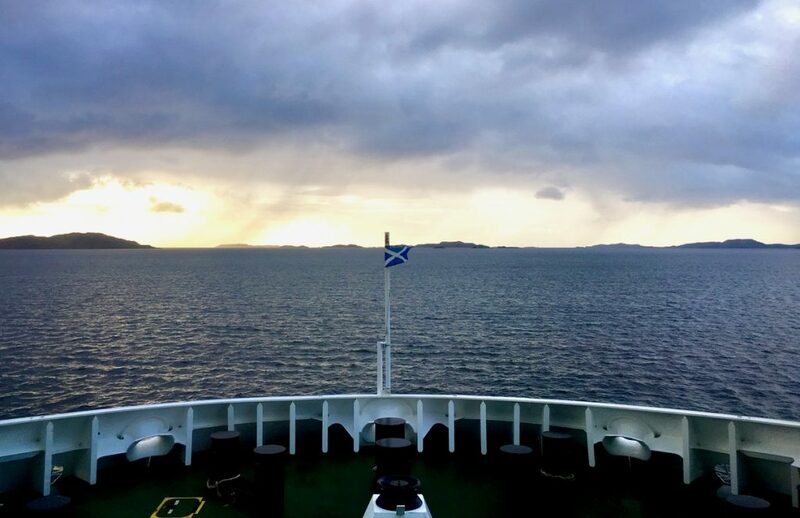 After a couple of nights in Glasgow and Dundee we made the trip to Ullapool and hopped on the ferry, it took 2.5 hours but was a comfortable ride. Arriving in the dark is mysterious in most places but even more so in Lewis; with hardly any light pollution we drove in the pitch dark, reaching our cute cottages after about 45 minutes. We grabbed a wine and bunked down for the night, excited to see where the hell I was when the sun rose. Opening the door to our blackhouse in the morning, I couldn’t believe my eyes – we were in a tiny village that had been preserved in time sandwiched between a pebble beach and cliff faces. This feeling of surprise and awe did not stop from the moment I stepped outside. Lewis was like being on another planet with stark rock faces, mountains, fields, lochs, and stunning beaches; all steeped in history this little island had surpassed any expectations. I was lucky enough to call one of these little stone cottages my home for three nights. This unique self-catered accommodation felt like living in history, the cottages have been modernised (so you no longer have to sleep under the same roof as the animals) and the peat fire is now funnelled through a chimney instead of the thatching; yet sitting, sharing food, and chatting away around the stove made me feel like we were not too far removed from the original dwellers. 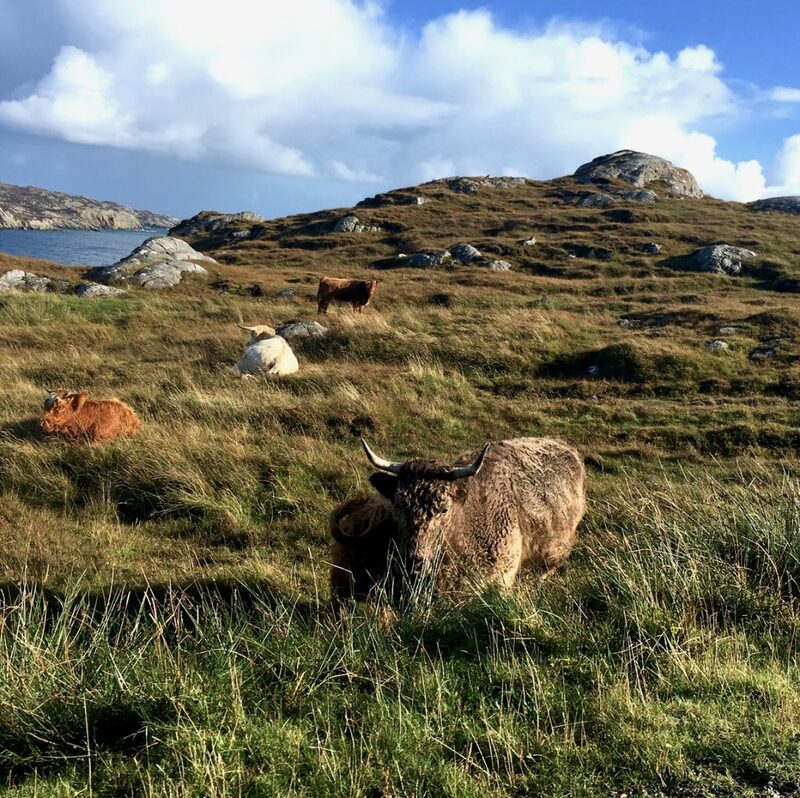 Our holiday lettings were private but the Blackhouse Village is open for visitors who want to learn more about crofting life and traditional activities, including the weaving of harris tweed. If history is not your thing then the location itself is worth a visit with the Atlantic on your doorstep and clifftops walks with incredible views that make you feel as if you are on the edge of the earth. 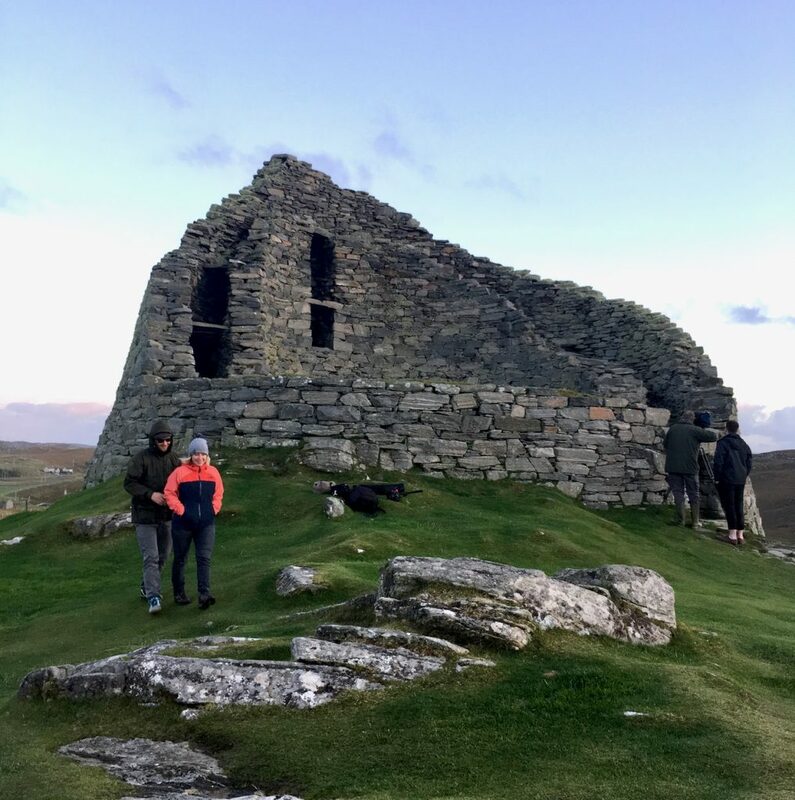 Staying in the Blackhouses was such a memorable experience and though there was plenty literally on our doorstep it was also an ideal location for exploring close by Callanish Standing Stones and Carloway Broch. Another thing which I can’t believe was a plus point was a lack of wifi and phone signal, which meant that we could have a family catch up with no distractions and also helped me to stick with the living more offline promised I made to myself. 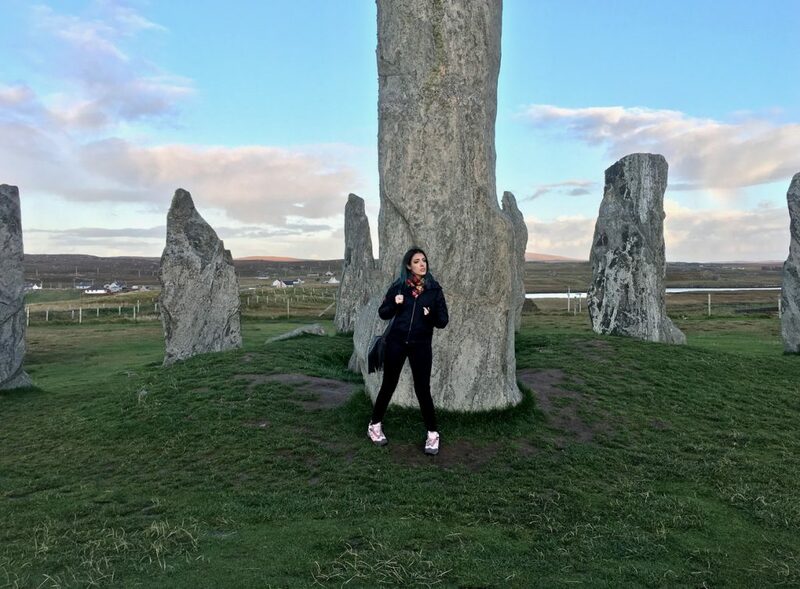 So, originally I was super excited for a trip to the Callanish Standing Stones because a picture of them has been on my bank card for the past 10 years but there was so much more to learn. 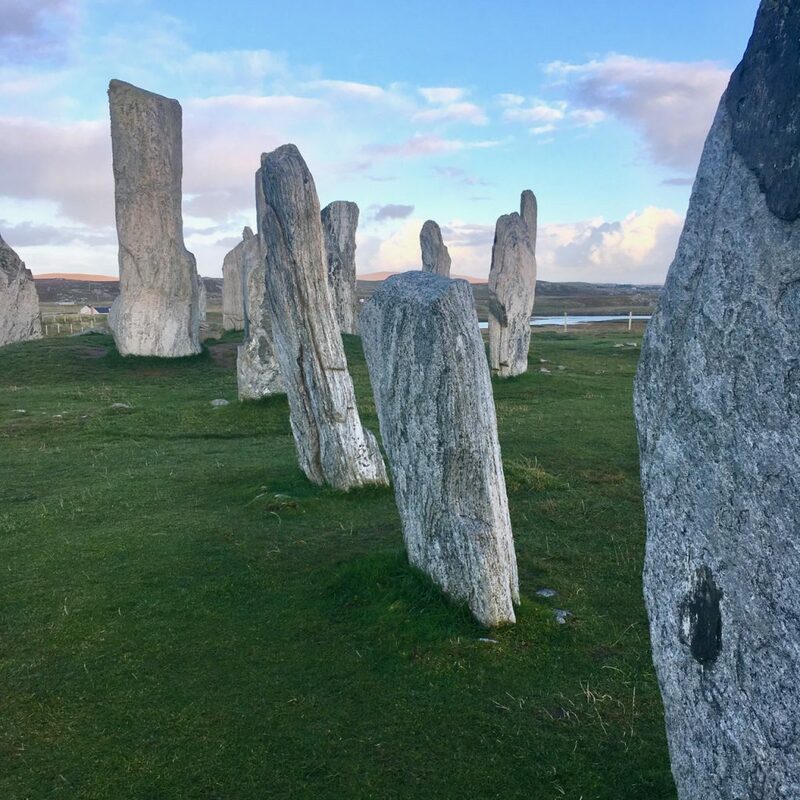 There is much mystery surrounding these Neolithic stones which have stood for over 5000 years; many stories of why, and how, the stones came to stand on Lewis have emerged, many believing that they were used for rituals involving the moon, stars and jagged hills in the distance. Many think that the purpose of the stones was to be an astronomical calendar as every 18.61 Earth cycles the moon is low enough that it looks like it dances over the distant hills creating a silhouette of a women known as “Cailleach na Mointeach” and has been interpreted as a visit from Gods. 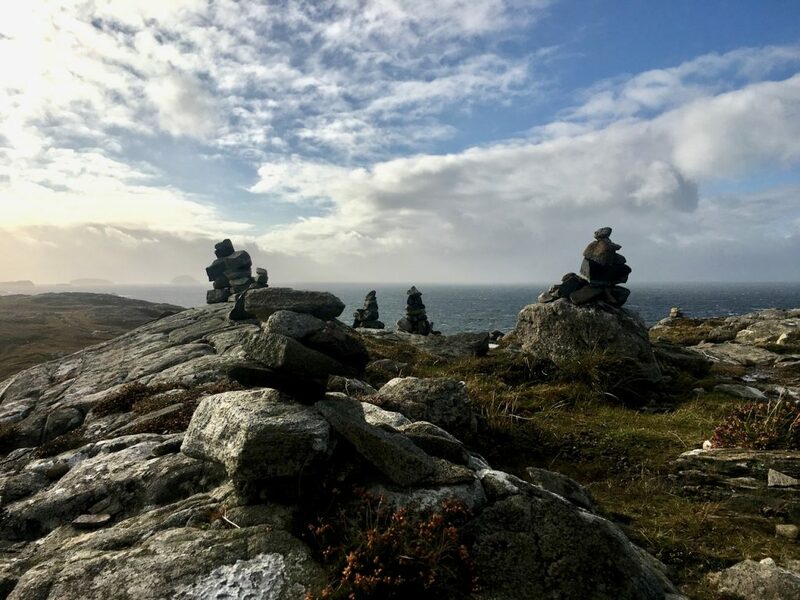 The fifty stones and their positioning invoke many theories and I am sure the locals would be happy to chat you through these. On the way back in the car our conversation turned to alien communications, but whatever you believe in it’s hard to deny that these stones are magical. Pulling off at the side of the road a gate and steps lead us to a circular stoney structure located right on top of a hill, with a vantage point for miles. 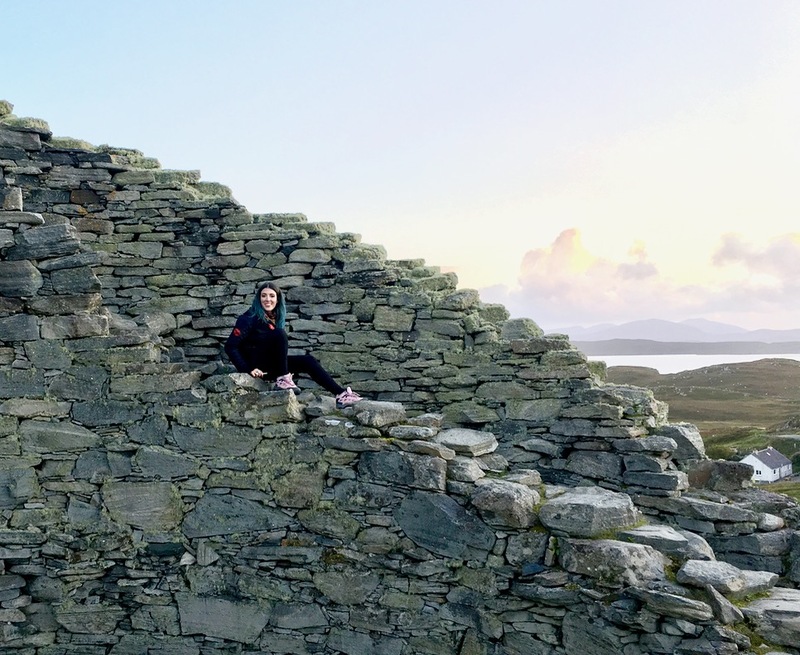 After crawling through a small door and clambering around the outer walls I later learned that a Broch is an Iron Age defence structure which were usually the homes of tribal leaders or people of importance. 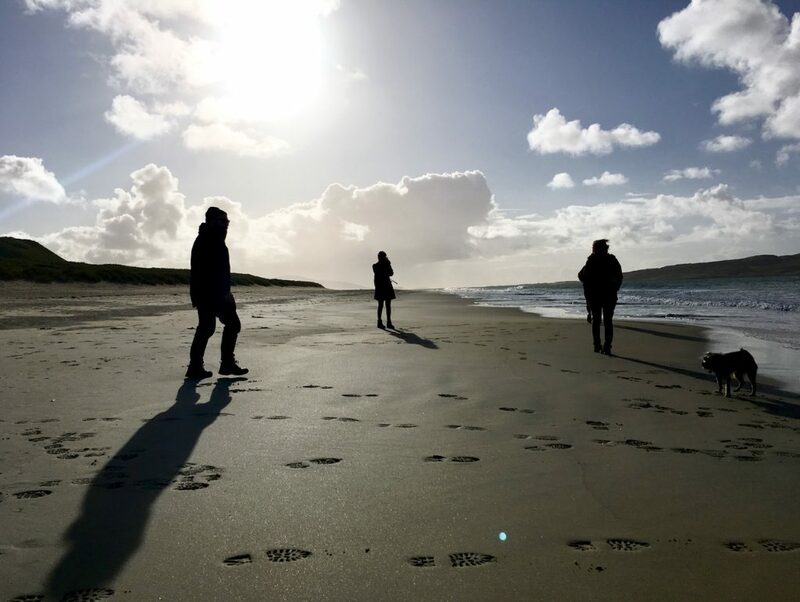 Tarbert is the central town on the Isle of Harris (which is connected to Lewis), though it is small there is plenty to do including taking a tour of the new Isle of Harris distillery where you can sample some delicious gin. I would advise phoning ahead and booking a tour as it is a popular spot or, more unexpectedly, they may have had a disaster – when we rocked up unannounced there was a small fire so it was closed for the day! Not to worry, the Harris Tweed shop was just across the carpark and turned out to be quite the family shopping spree. 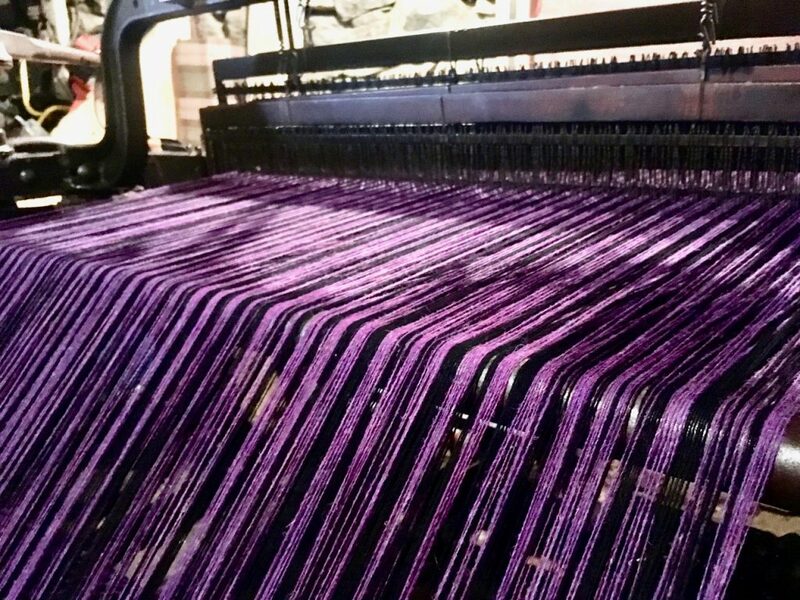 Harris Tweed is hand woven on the island and is an important part of the area’s history and industry, so it only seemed right that we make a contribution. All kitted out in our new tweed we popped into the Hotel Hebrides where the service was a little all over the place, but the food fuelled us for our next adventure. I mean, the pictures really say it all – just look at this glorious beach! 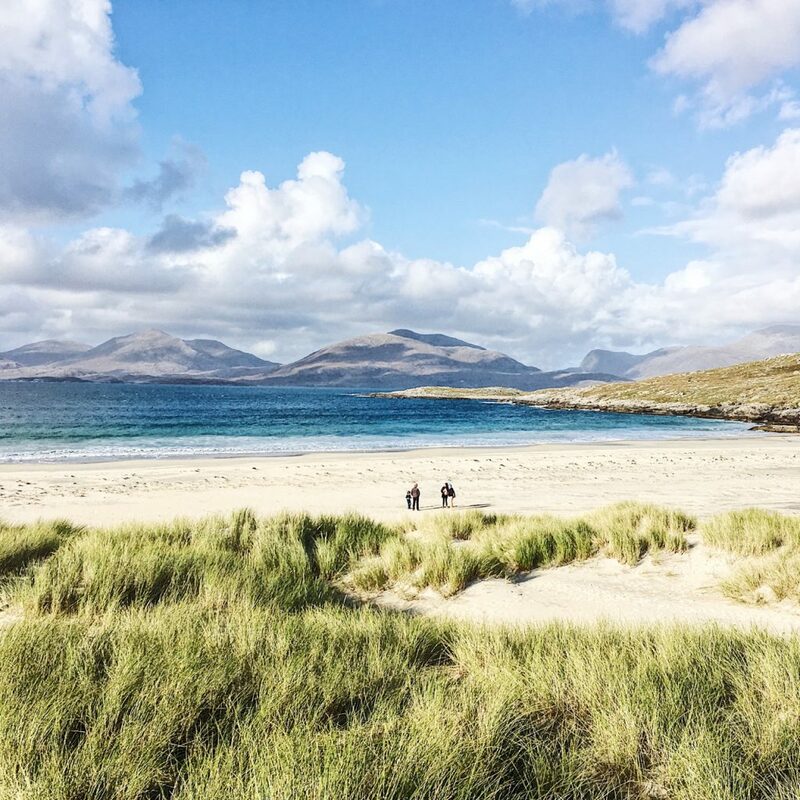 One of the island’s largest beaches there is plenty of beautiful golden sand to stroll along and clear seas to swim or surf in, all in the shadow of the rugged Scottish hills. The Golden Road got its name not because the streets are paved with gold in Harris, but because it cost so much build! 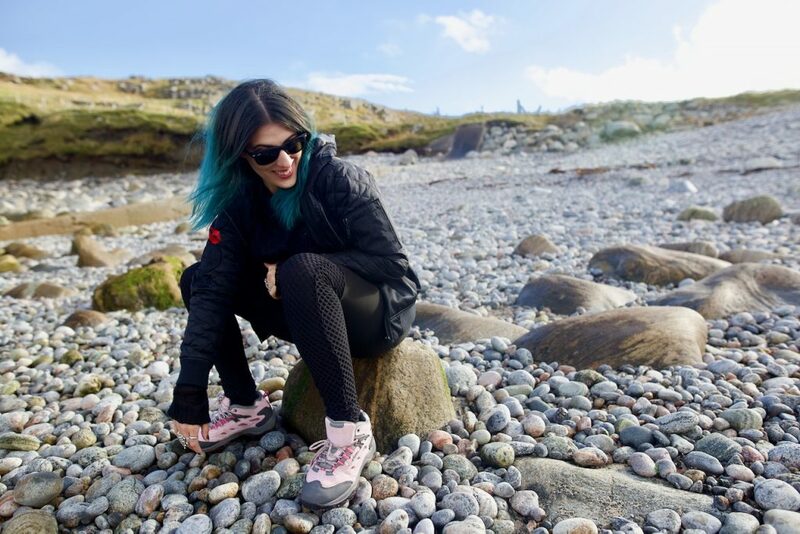 The route winds through the East Coast of the island through spectacular scenery, including mini fjords, beaches ,and rocky landscapes that look other-wordly. My advice: take your time on this stretch of road, stop off and take in the stunning sites, instead of seeing them out the window. As you can probably tell, I think Lewis and Harris was worth travelling for! With such uniquely spectacular scenery I really felt like I was at the edge of the world and though I was still in the UK it gave me that sense of adventure that I usually have to go much further afield for. 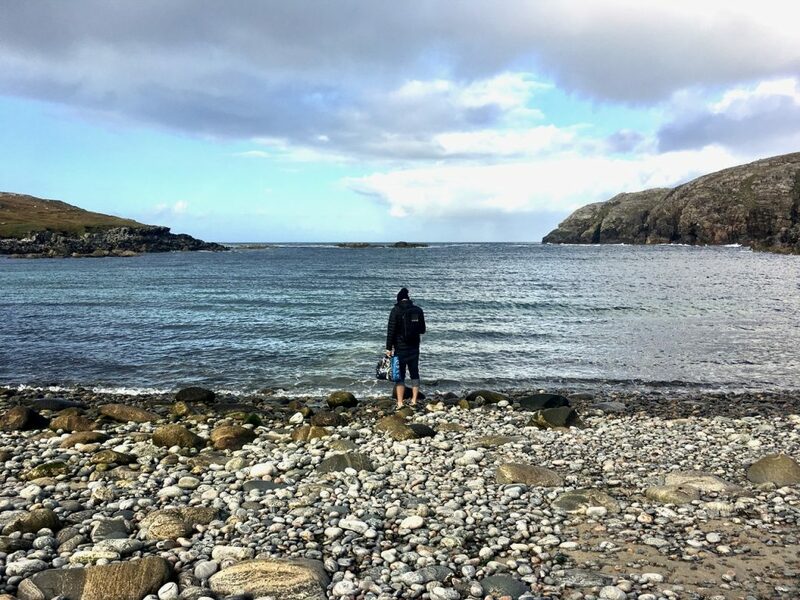 Growing up in Scotland it’s easy to take it’s wild beauty for granted but as I explore my homeland I feel inspired to see even more – there is even talk of us doing the North Coast 500 next year. 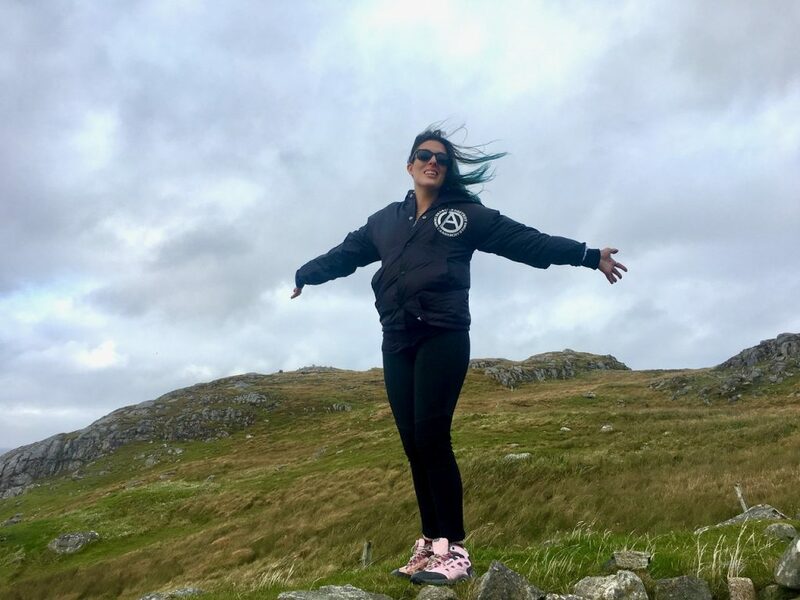 If you want to see more of our week in scotland you can check out my vlog. Have you guys holidayed in Scotland? Where are your favourite places?